Our featured Camp Musician this month is Becky Kinder! Becky studied songwriting at Belmont University (go Bruins!) and is now on part-time staff for Young Life College in Nashville. She is playing music at Crooked Creek Ranch this summer. Becky records her YL journey this way: "I was first introduced to Young Life through my best friend in high school but didn't get connected until my senior year of college. Becoming a Young Life leader was the first time I'd ever given my life away to serve. I learned what it feels like to serve as a vessel with the gracious patience that the Lord leads me with. Sharing my music through Young Life concretes how divinely the Lord creates all of us - the way He weaves our stories into our talents, preparing us with a path to share our stories with the people around us. 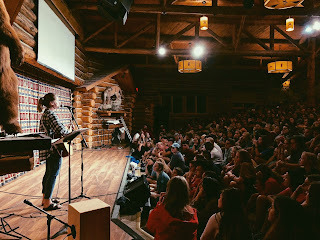 The words I get to share are not my own, and I truly feel like sharing my story through my music at camp gives me a space to do what the Lord created me to do. I'm grateful for the way Young Life sets up a space for me to share my story humbly and honestly, because when I share it honestly I can't get it wrong." You can listen to her music on Spotify and Itunes. Email Becky to play at your Young Life weekend camp or banquet. "I'll never speak on another summer assignment without Becky Kinder as my camp musician. She does what every staff person wishes a camp musician would do, she tells her story - which it turns out is simply the story of a high school girl facing insecurity, depression, loneliness- finding worth in boys, in sports- but eventually in Christ. Becky is the same person on stage that she is off stage - she carries no pretense, so kids flock to her. They don't really want to sing for her like they might with a "celebrity," instead they want to sit and talk long into free time about what she shared in her songs or in Real Life. We used to call the role "Special Musician" but I would say, Becky isn't a musician who acts like she's special, instead she is a Young Life leader who plays great music kids can relate to, and that makes her special." "Becky is a sweet gift to our mission. She embodies both in her life and her music coming alongside people who are hurting or broken or searching or wandering and some of us who don’t know we are. She asks questions, she longs for answers, and she leads those who are doing the same to the heart of God found in Christ Jesus. Plus, she’s pretty funny!" "With Becky as your camp musician, you get the total package: someone who brings exceptional musical talent to club, thoughtful and inspirational lyrics and a beautiful shiny-ness that comes from one who has been with Jesus, a lot. She connects quickly with students and is able to partner well with the presentation of the Gospel. 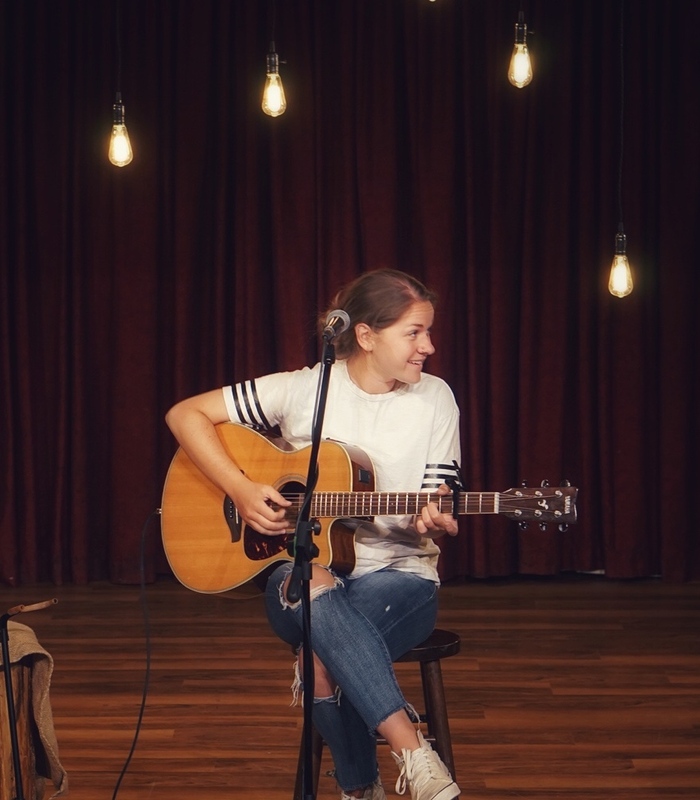 If you are looking for a home run, no regret camp musician, Becky Kinder is your gal."